The council does not have a legal duty to provide a pest control service to control bed-bugs however, the council does have legal powers to require an owner to have effective treatment carried out. If you suspect or we have evidence to show you have bedbugs in your house, we require to carry out a full survey of all rooms affected. This normally takes 2 hours per room and the current charge is £67.80 (incl VAT) per home. To reduce how much of your time we need, we routinely allocate more than one officer to carry out this survey. This survey does not include any treatment. Every property will be given a quote for treatment and the cost will depend on the number of rooms affected and the level of infestation found. Once a survey is completed you will be provided a quotation within 3 working days and, if you wish to proceed with the treatment the cost of the survey will be deducted from the quotation. Do I have to do anything before the officer comes out to survey? Please ensure all rooms are as tidy as possible with no items on floors, shelves and furniture. You do not have to move furniture as we will do this if required during the survey. Do I have to do anything before the officer comes out to treat? 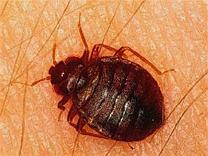 You should only carry these steps out once there has been a definite identification of bedbugs in the property. Remove plug and switch plate covers after isolating the supply to the room. A certified electrician should be used should you not be comfortable with this. Remove all linen from the bed and base. These should be bagged and laundered as per below. Empty cupboards and wardrobes of items. Do not remove any items of furniture from the room. Beds can be treated and do not need to be disposed of. If a mattress is torn and therefore difficult to treat, it can be disposed of but discuss this with the pest-controller. The mattress should be rendered unusable, sealed and disposed of after being treated with insecticide. Freezing (Minimum of -17oC) for 10 hours. Commonly the treatments will take over 4 months of weekly or bi-weekly visits to get rid of bed-bugs from your property. Bed-bug infestations are very invasive and difficult to eradicate and will result in major upheavals to your normal life. There is always a risk of re-infestation should the original infestation be brought in by guests. No. There is no way to ensure you will not get nests in future years as bed-bugs are brought in by people or items and don't live in the external environment.